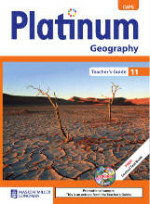 Short Description: Die Almal verstaan Geografie-kursus vir Graad 11 is ontwerp om die inhoud (kennis, konsepte en vaardighede) te dek wat in die nuwe Kurrikulum- en Assesseringsbeleidsverklaring (KABV) vir Geografie georganiseer is. Short Description: Ken & Verstaan Geografie Graad 11 is deur â€˜n ervare span onderwysers geskryf, ooreenkomstig die vereistes van die Kurrikulum- en Assesseringsbeleidsverklaring (KABV). Hierdie nuwe en toeganklike reeks sal leerders help om die inhoud van en vaardighede vir Geografie maklik baas te raak. These components are designed to work together to enrich the teaching and learning experience in the Geography classroom. 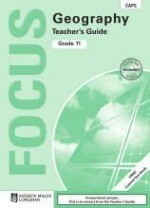 Short Description: Study & Master Geography Grade 11 has been especially developed by an experienced author team for the Curriculum and Assessment Policy Statement (CAPS). 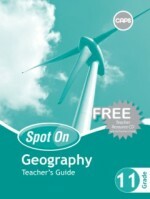 This new and easy-to use course helps learners to master essential content and skills in Geography. knowledge and skills to enable them to become critical thinkers who are able to engage meaningfully with the world. Short Description: 1. The series was written to be aligned with CAPS. 2. A possible work schedule has been included. 3. Each topic starts with an overview of what is taught, and the resources you need. 4. There is advice on pace-setting to assist you in completing all the work for the year on <span title="Glossary: Time” data-tooltip=”Measurable period in which cause and effect occurs and systems function.” class=”glossaryLink “>time. 5. Advice on how to introduce concepts and scaffold learning is given for every topic. 6. All the answers have been given to save you <span title="Glossary: Time” data-tooltip=”Measurable period in which cause and effect occurs and systems function.” class=”glossaryLink “>time doing the exercises yourself. 7. 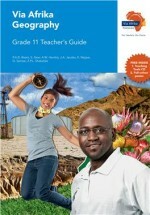 Also included are a full-colour poster and a CD filled with resources to assist you in your teaching and assessment. 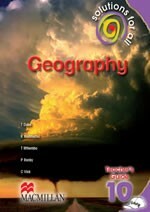 See the inside <span title="Glossary: Front” data-tooltip=”Transition zone between air masses with different weather characteristics.” class=”glossaryLink “>front cover.